We are going to learn about different types of transport and look at journeys around the local area, around the world and beyond! 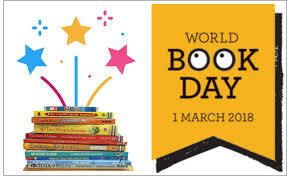 The week beginning 26th February we are going to be reading books by Julia Donaldson ready for World Book Day on Thursday 1st March 2018. We are all looking forward to dressing up as a character from a favourite story on World Book Day. Our first Julia Donaldson book will be 'Stick Man' a very popular book. Dressing up was great fun for the children and adults. Here are some photographs from 15th March. Parents and carers stayed to read with the children at the beginning of the day. Using the iPads in Reception. Maths in the Outdoor Area.